I am undecided on how to proceed with the 'selkie coat'. As soon as I bought some linen, as gorgeous as it is my brain goes, no wool would be better. 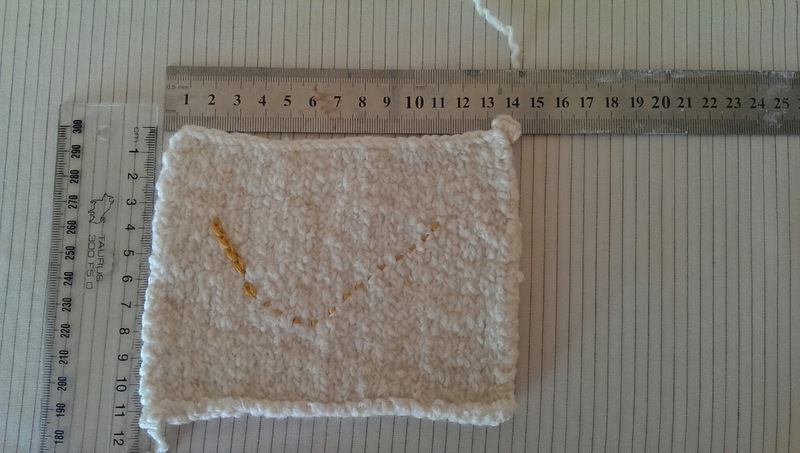 I had been thinking how good felt would look, that is hand felted and shaped, but i'm a bit daunted about making such a large project. 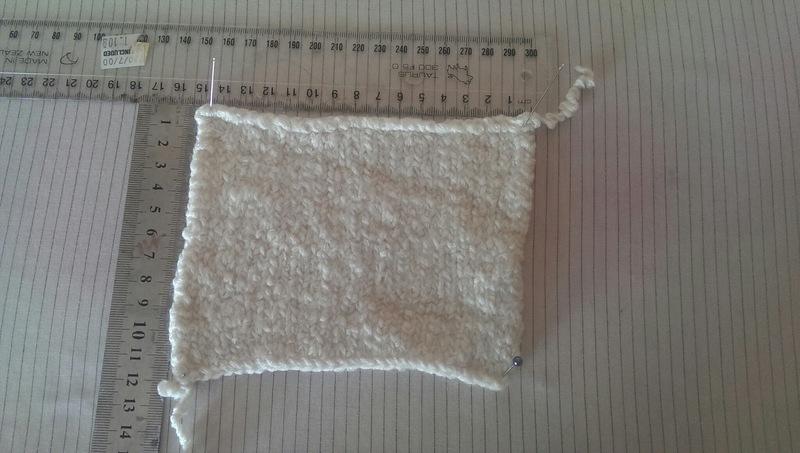 So I though about maybe knitting something then felting or 'fulling' it. Fulling shrinks the knitted or woven fabric and matts the fibres together to create a more even surface. 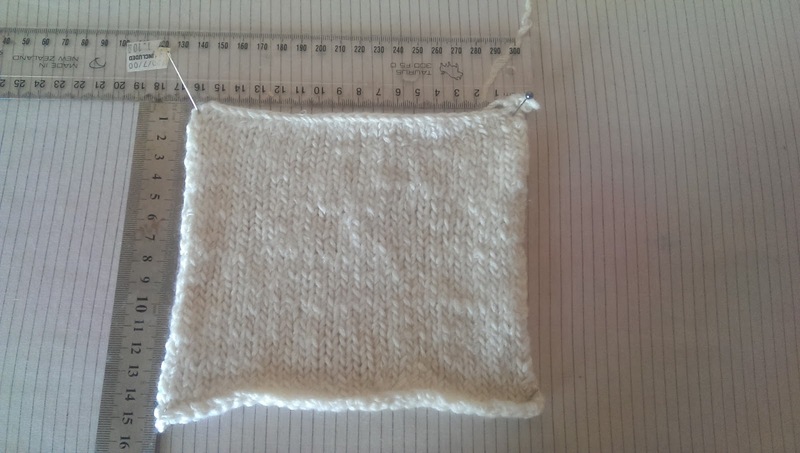 This first test is: Undyed 8 ply merino knitted up in stockinette on 5.5 size needles. I did a little scrubbing in between washes (with other clothes). Some advice I had read on the internet suggested to knit up the yarn on larger needles (which I did) because the fulling works better with some room for the fibres to mesh. After the first wash though, it looks as though I made it too big. 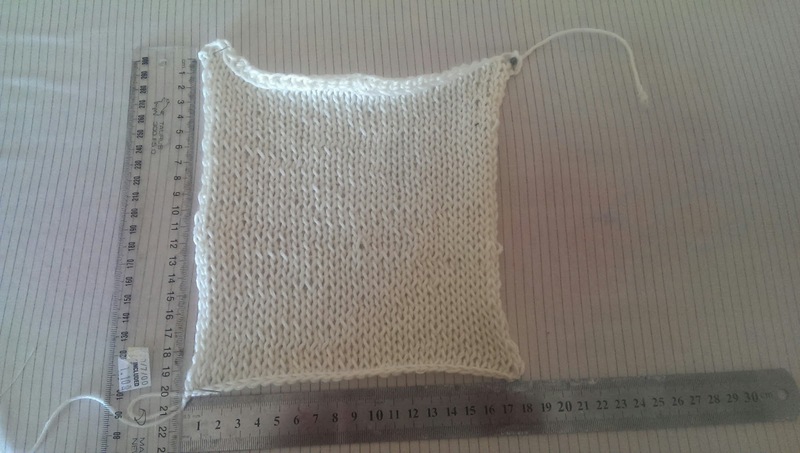 So the next test, I think I will use larger needles with a few strands of yarn.